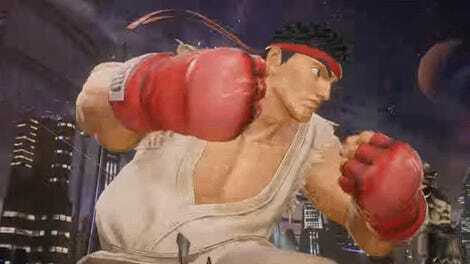 Over the weekend, Capcom and Marvel finally announced the next entry in the legendary Marvel vs. Capcom fighting game series: Infinite. We only know a few of the superheroes that will be playable in next year’s brawler, but here’s a few more from the comics and movies we’d love to see show up on the Marvel side of the roster too. The man with unbreakable skin seems like the perfect candidate for a fighting game. Luke might not have the most elegant of fighting styles , but the idea of a character who can tank attacks like they’re virtually nothing while also having a fairly simple, no-frills fighting style could be a lot of fun to see in a series that often prides itself on flashiness. What better representative of modern Marvel than one of their biggest and most popular characters around in the comics? Kamala’s stretchy shapeshifting attacks would be amazing to see in a fighting game—in fact, she’d be a pretty good stand-in for MvC3's Super-Skrull if he doesn’t show up. Plus, with Captain Marvel confirmed for the roster, it’d be fun to see her biggest fan go up against her... and then beat the crap out of her for Civil War II. We can probably expect a few Inhumans in Infinite’s final roster, given all the love Marvel is giving them right now. But while Black Bolt or Medusa might be obvious choices, Karnak would be an amazing wild card of a character—especially if he’s based on Warren Ellis’ amazing interpretation of the character as a ruthless, formidable fighter who uses his powers to exploit the flaws in all things in some spectacularly brutal ways. Take a look at this year’s Karnak #2 and tell me you don’t want that in a fighting game. While the past games have only drawn from the comics, Hayley Atwell’s take on Agent Carter would be great to see in Infinite—only for the sheer hilarity of a cast of superpowered heroes and villains on both sides getting schooled by a classy British lady in a blue skirt and a fabulous Carmen Sandiego hat. Peg’s got more than a few moves (and a few trusty Stark gadgets she could call on) that would make for a fun move-set. Vision’s phasing would make for a very tricky fighting game character—he could just slip past attacks or phase through the ground of a stage (or straight through the chests of his opponents) for sneaky surprise strikes. Even his density-altering powers could give him some hard hitting attacks. Top it off with his beam attacks and you’ve got the combo for an impressive fighting game hero. It’s about time Bucky Barnes got his due in one of these games. 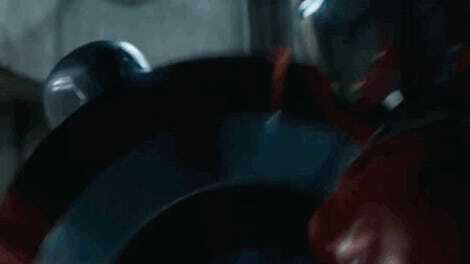 Considering he’s a prominent figure in the movie universe, and Marvel loves to push those connections, it wouldn’t be too out there to see Bucky join the fray this time round. He could combine more traditional gun attacks á la past MvC characters like Chris Redfield or Deadpool with heavy-hitting punches with his robot arm. 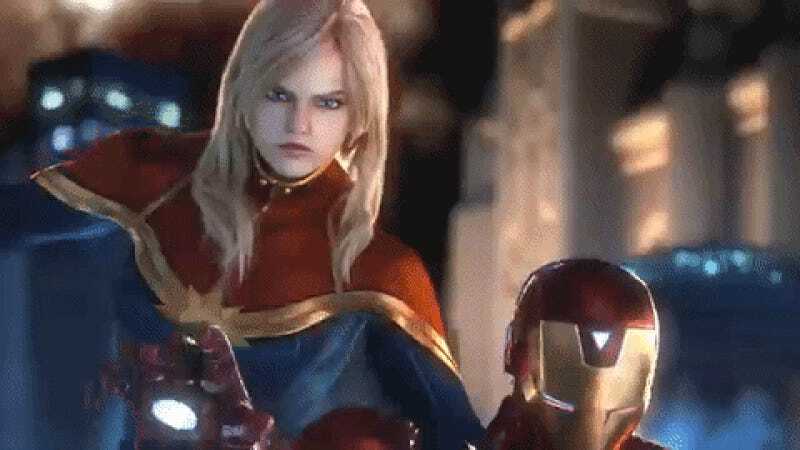 Sure there’s already one Captain Marvel in Infinite, why not add someone else who carried the title? Monica’s energy-based powers could make her a deadly character at range, blasting all sorts of different radiations and rays at her foe. Switching to the different types of energy she can manipulates could be like a sort of stance change, with new abilities and moves for each form. 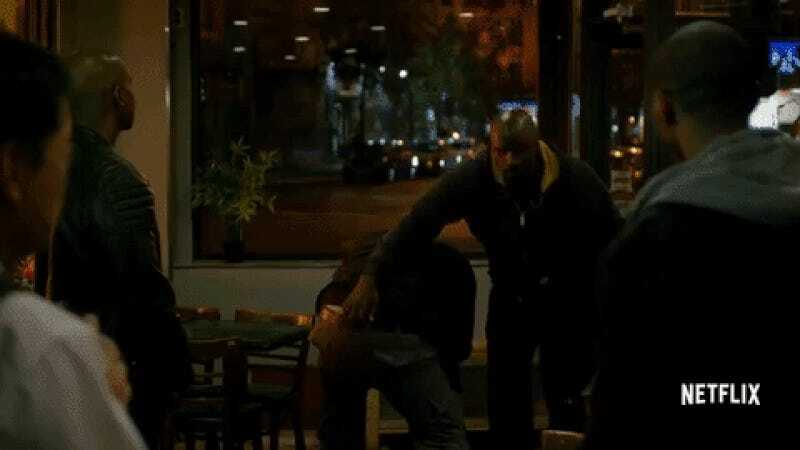 T’Challa has always been a master of hand-to-hand combat in the comics, and his appearance in Civil War earlier this year gave us some attacks that wouldn’t be out of place on a Street Fighter character. Pair those with his high-tech vibranium suit and those sharp claws, and you’ve got a great addition to the franchise. Tell me this isn’t super attack material. Like Vision, America’s a character who could have her whole fighting style based around teleporting attacks—except instead of simply teleporting, she’s punching holes into different realities and traveling through them for the ultimate sneak attack. And unlike Vision, America can bring her opponents into those realities, which could make for some interesting throws and moves after she chucks you into a star-shaped portal to beat the crap out of you. Is there room for two Captain Americas in this game? Well, there is in the comics at the moment, so I don’t see why Sam wouldn’t be able to use his current mantle to give us an aerial-fighting take on the classic Cap moveset in the series. If not, though, he could just always appear as the MCU-version of Falcon, with his fancy jetpack and Redwing drone to deal beatdowns from above. Marvel vs. Capcom is known for its wacky picks—hell, famous attorney-at-law Pheonix Wright was in the last one!—and what’s wackier than having Lunella join the fray, along with her giant dino friend? Supergenius Lunella could whip up all sorts of tech to dazzle her opponents with, and then bring the heavy hitter in the form of DD for big team-up attacks. Jessica might be a bit of a similar pick to Luke in this regard in that she doesn’t really have much of a fighting style, mainly because she doesn’t need one with her super strength to back her up. Combined with her “flight” powers (which is more like jumping with style, really), she’d have a bit of variety to her. Plus, she could probably have a lot of moves involving smashing bottles of liquor over her foes’ heads. Whether it’s the brawler of Marvel’s hit Netflix show or the more acrobatic comics version of the character, Matt Murdock is prime fighting game character material. His billy club could be broken down into individual stance changes to give him different attacks and styles—the two sticks, the staff, and even the nunchaku-esque extended version—and his heightened senses could make for some cool visuals that helps him dodge attacks. Live and Let Die! FIGHT!